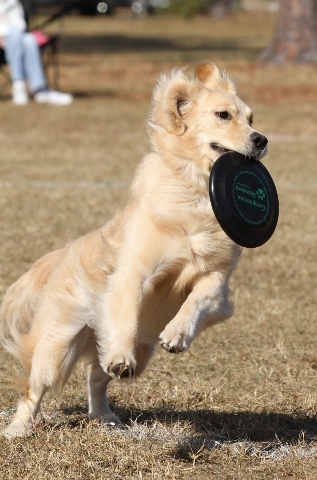 Coquina is responsible for introducing us to Disc Dog events. 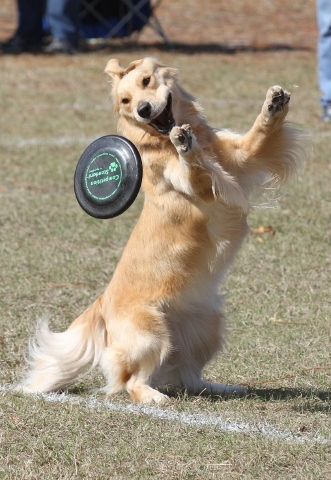 When we discovered that Coquina really enjoyed playing Frisbee we went to our first Disc Dog fun event to see what she would do. Needless to say....SHE LOVED IT...and the rest is history. Whether Coquina is just playing on the weekends or competing she gives it her all and NEVER NEVER QUITS!!! Fergie came along to join Coquina playing Frisbee and it didn't take long before she was hooked. So, Fergie started competing, too. As you can see in the photo above...she LOVES it but her style is a little less serious and a little more fun loving!